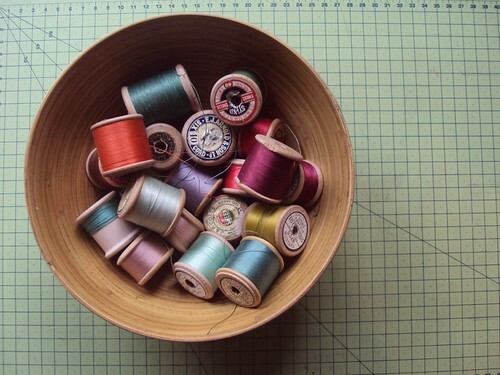 Vintage cotton reels, a photo by little_moshi on Flickr. My new obsession is collecting vintage cotton reels. They call to me every time I find them. There is something so lovely about the sheen of old cotton that is unbelievably beautiful, and the labels are just amazing.